On Saturday, October 25, 2014, there will be a party in Kinston! In the past year, over $100,000 has been raised for Toloha Partnership! Over 8 km of pipe has been purchased and is being installed into the trench leading from the foot of the mountains to Toloha! A church is meeting and growing! The people have seen the amazing things God has done and is continuing to do! Will you join us? Don’t miss this fun-filled night of celebration and gratitude. The night will kick off with heavy hors d’oeurves, a silent auction, raffle, and live music. Then, our Master of Ceremonies, Meteorologist David Sawyer will lead us on a journey of what has happened and what has yet to come in Toloha. The night will end with a live auction of some amazing items that will soon be announced! Check our Banquet Page for updates and details! 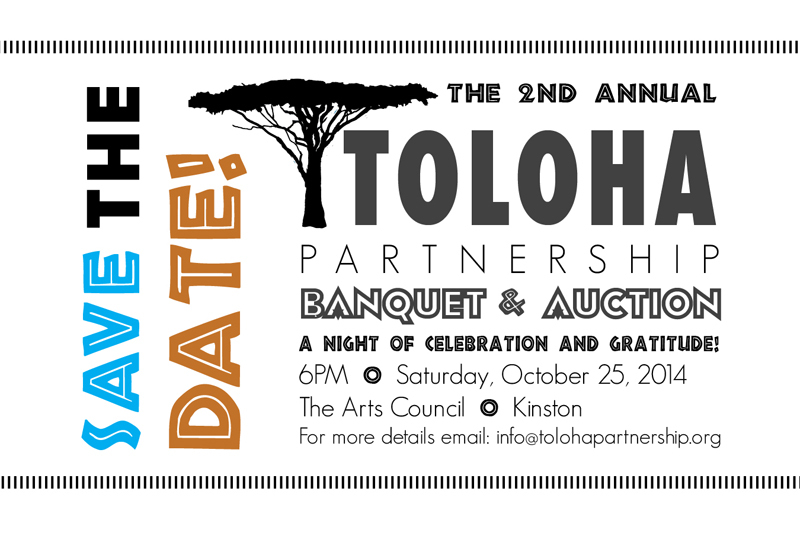 For tickets, contact Lindsay Corrigan at info@tolohapartnership.org or (252)626-6762. We hope to see you there!